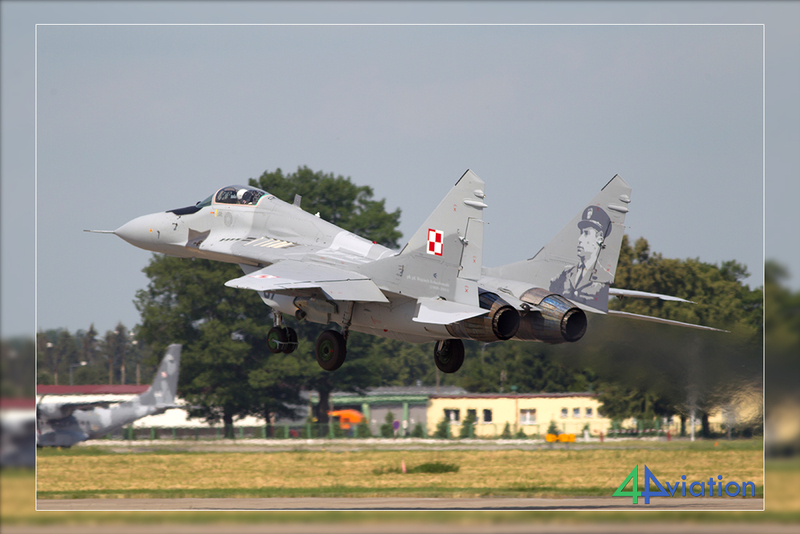 Following a not-so-fruitful visit to Świdwin and Malbork in October 2016, we were allowed back in June 2017. 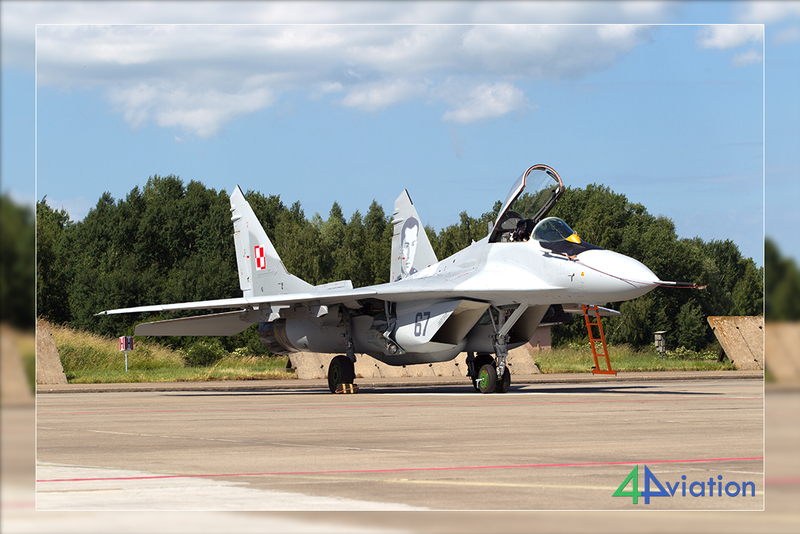 Another change of plans resulted in two full days at Malbork, photographing both MiG-29 units of the Polish Air Force. 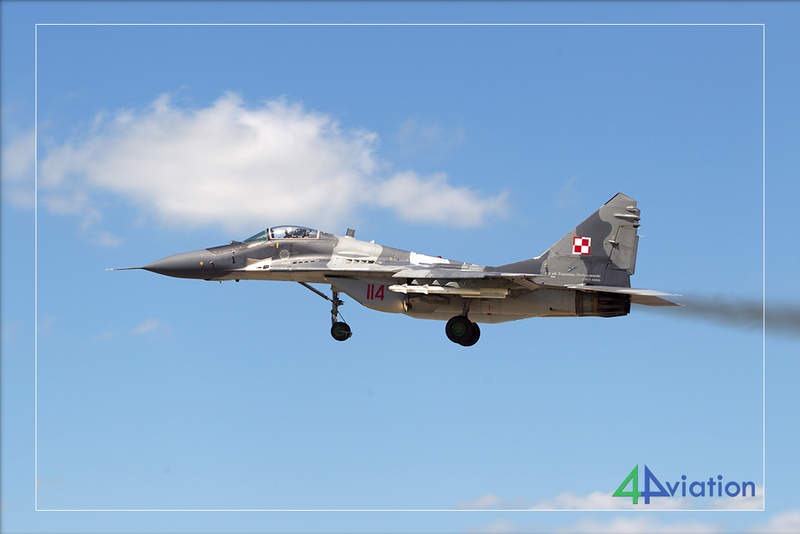 In October 2016, we visited Poland for two base-visits at Świdwin and Malbork. Unfortunately, both visits turned out to be somewhat disappointing as there was no flying activity at either base. 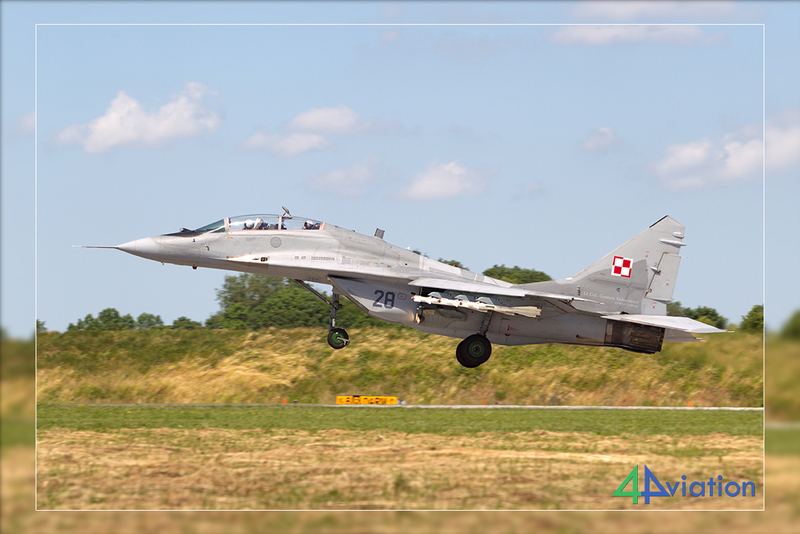 The Polish Armed Forces were very flexible and allowed us a return visit in June of this year. Part of the group that was present in October was joined by some ‘newcomers’ (from the spare list of October 2016) at Eindhoven Airport for our flight to Gdansk on Sunday 18 June 2017. The short and smooth flight was over before we knew it and after that we picked up the rental cars and drove to our hotel, the same one we used in October (and known for its great hospitality and good food). Monday 19 June was our first rebound day! We were greeted at the gate of Malbork by our contact person and he had good news. There would be a lot of flying! 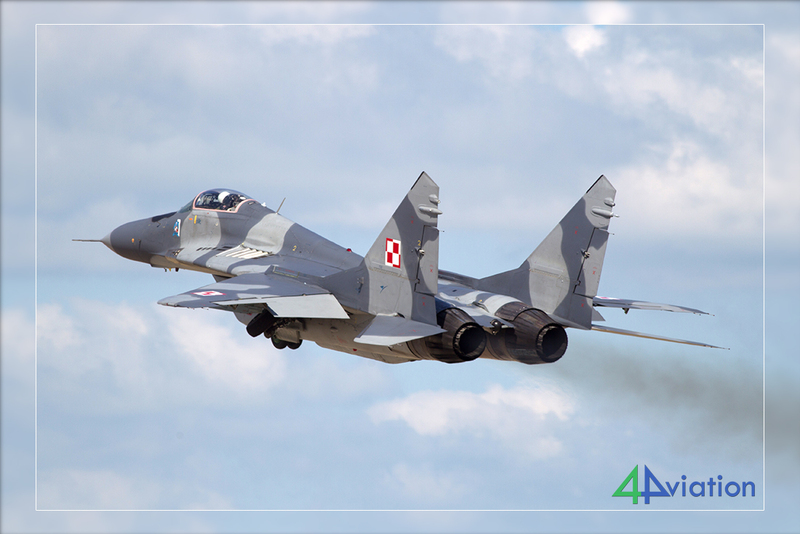 In the meanwhile, we had learned that due to runway repairs at their home base, 11 MiG-29s from Miñsk Mazowiecki would deploy to Malbork airbase for a stay until August. What a start of the morning! 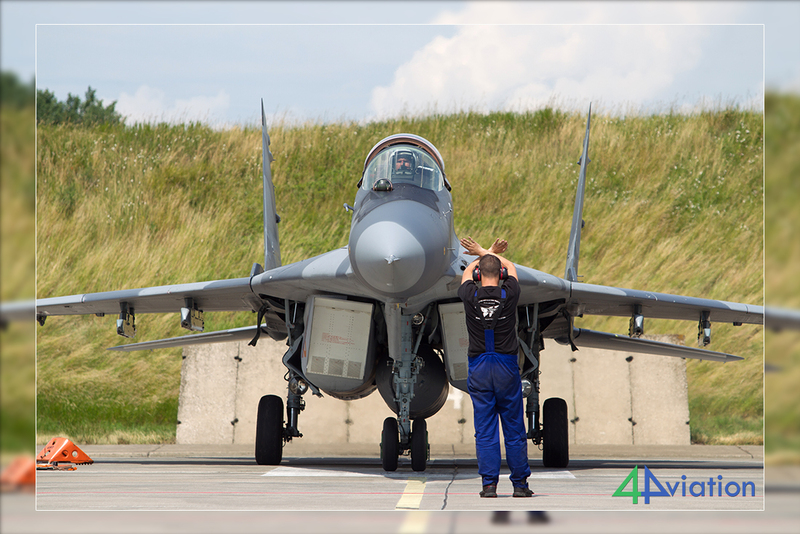 As the first activities could already be seen at the flightline of 41. Eskadra Lotnictwa Taktycznego (41.elt), we headed out for a spot close to rotation point to photograph the first take-offs of the day. The return of the mission was photographed near touchdown point at the beginning of the runway. 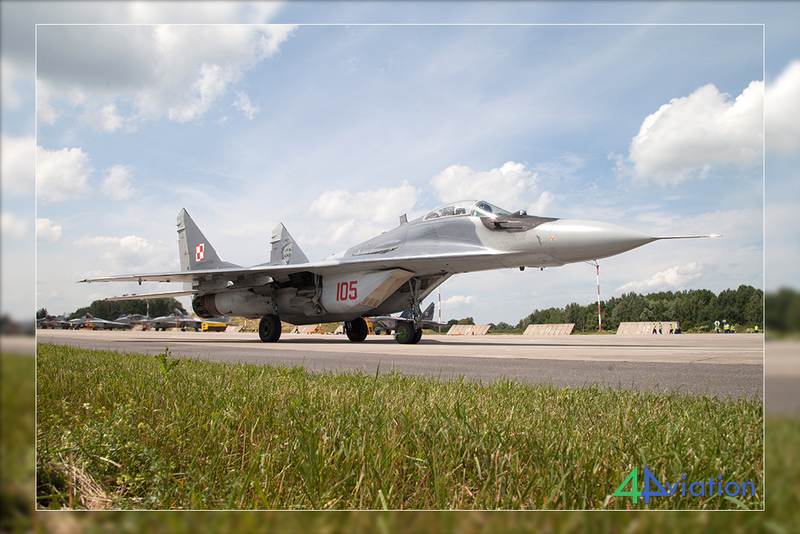 With all MiG-29s returned to base we decided to take some pictures at the flight line before the afternoon mission began. 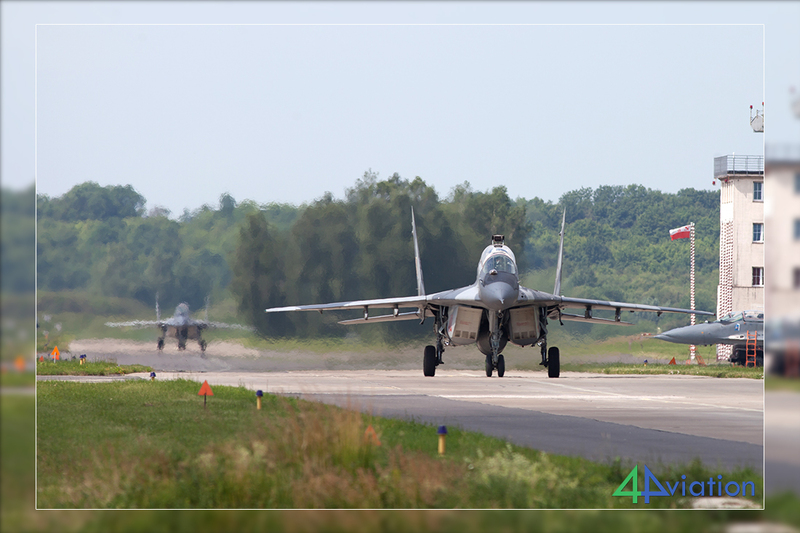 We heard that the MiG-29s from Miñsk (1. 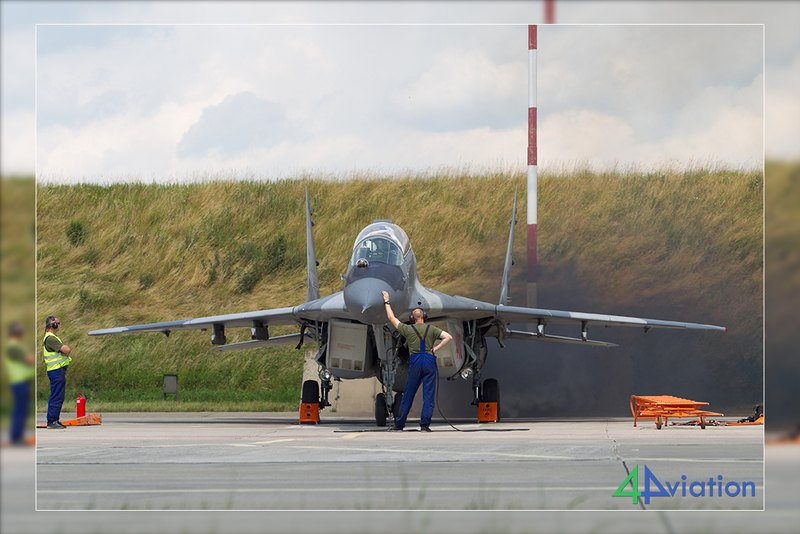 Eskadra Lotnictwa Taktycznego or 1.elt) would arrive shortly after lunch so we positioned ourselves close to the touchdown point again for some action pictures. 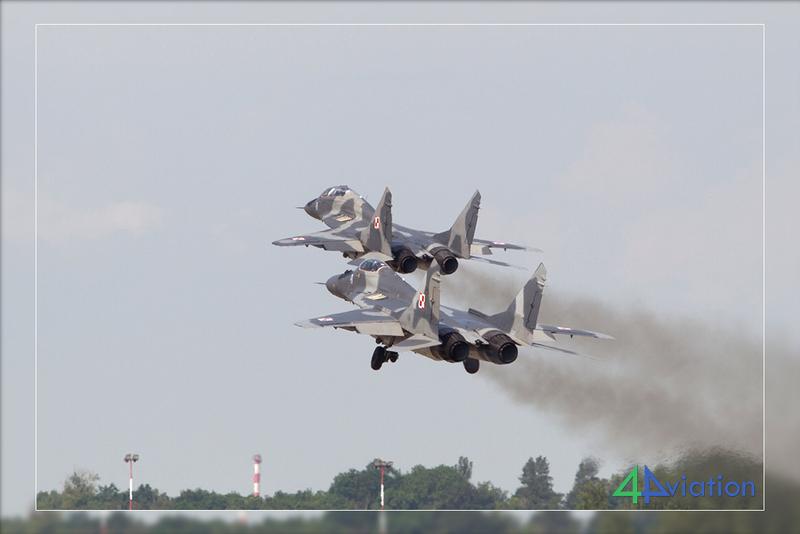 In the meanwhile, the based MiG-29s were flying again as well so there was a lot of action going on. With so many smoking Klimov RD-33 engines used at one base, Malbork was dubbed ‘Marlboro’ for the occasion. 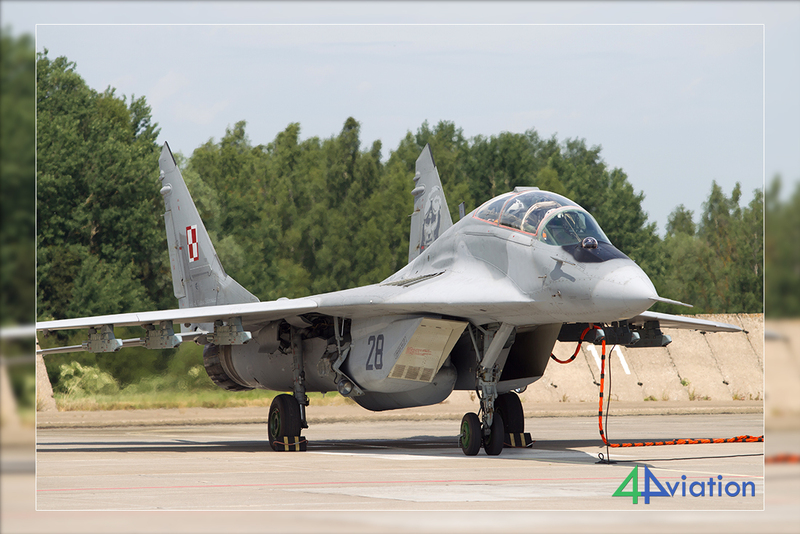 After the final MiG-29 had landed we called it today. 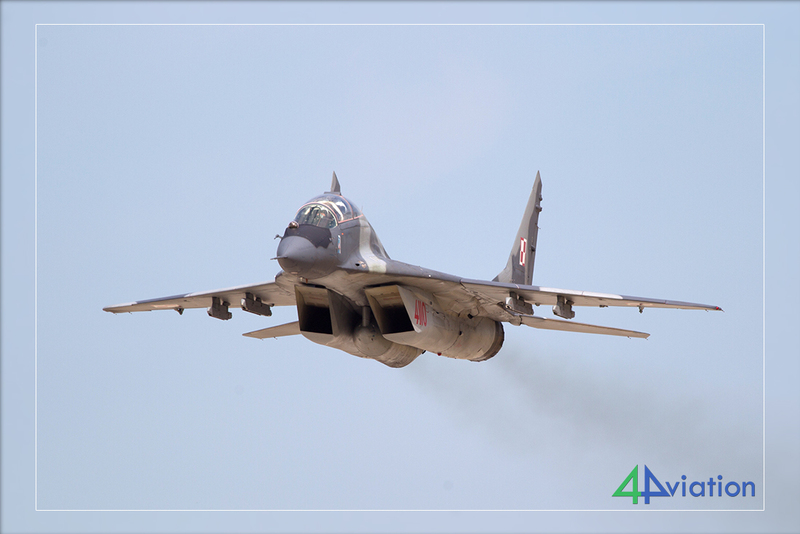 Unfortunately, we had learned in the meantime that Świdwin would be having a non-flying day at Tuesday (again) so no Su-22s this trip as well. 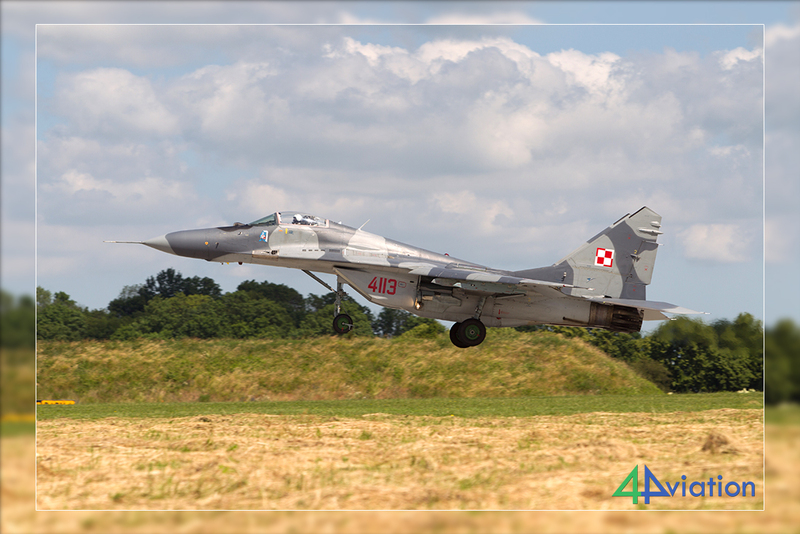 Due to the enormous hospitality form the guys at Malbork we were given the chance to come back to their base the following day instead. 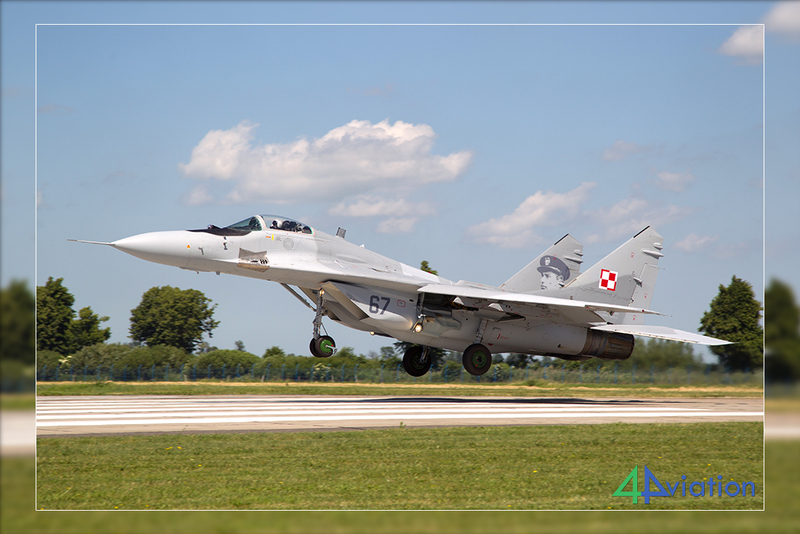 The good thing about visiting an air base on two consecutive days in a row is the possibility to photograph the aircraft from new perspectives. 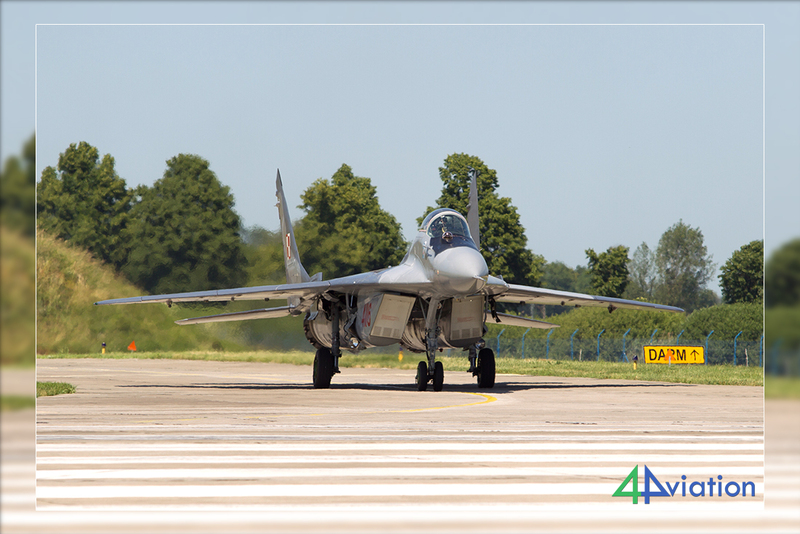 On Tuesday 20 June we started out at the flight line, capturing the start-up and taxiing out of the aircraft. After that, we waited for the aircraft to return enabling us to get some taxi shots. 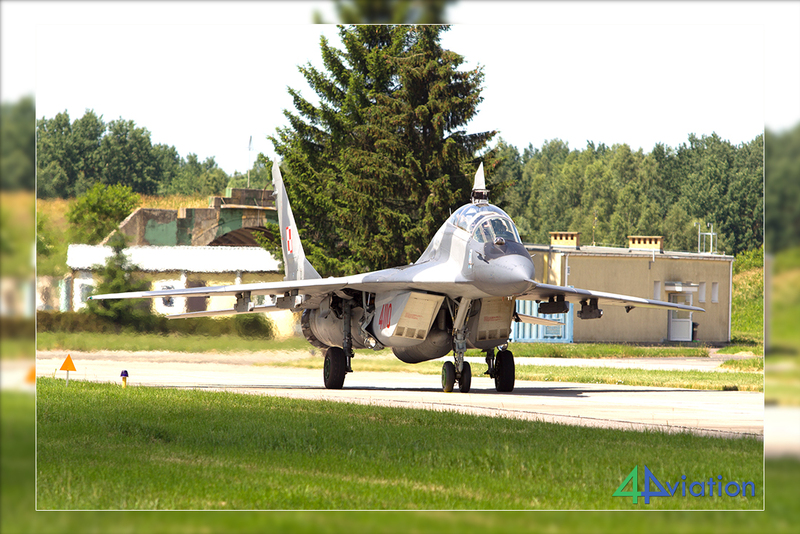 After discussing with the group, we decided that we would like to take some shots of the MiG-29s with braking chutes deployed, so for the final missions of the day we headed to the end of the runway where we awaited the aircraft to come back. 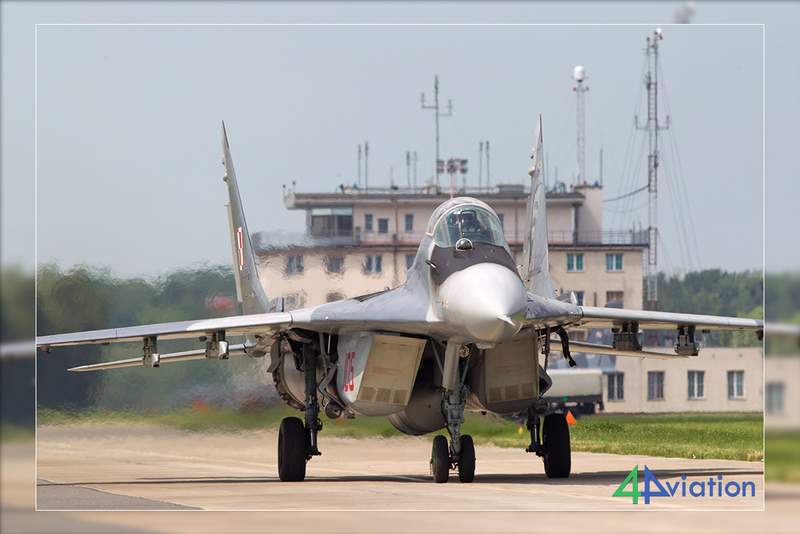 A good choice indeed and while waiting one of the MiG-29s do to a powerful low-pass for us! 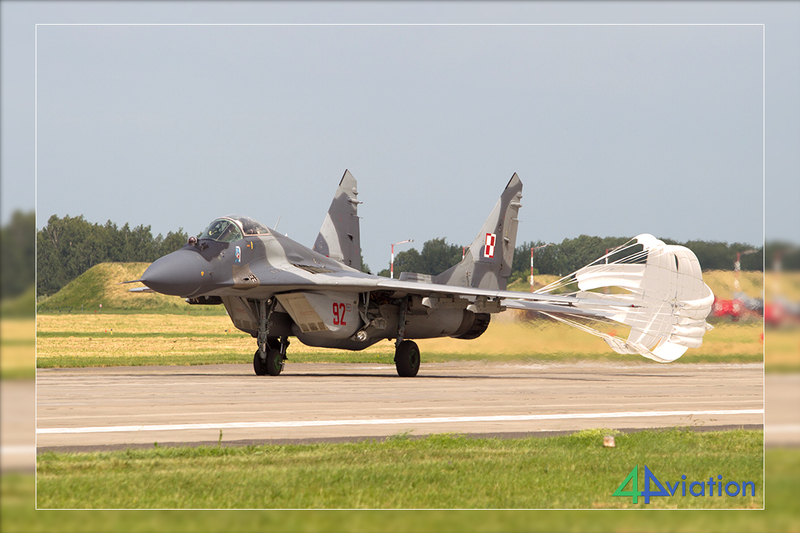 With the final MiG-29 returning it was time for us to say goodbye to our guides and thank them for their hospitality. After a good night’s sleep, it was time to fly back to the Netherlands on Wednesday (21 June)!